Veterans’ Day is tomorrow. Right now, the population of new veterans seems to be growing and the population of old veterans declining. No matter the war front, we are grateful for their service and I hope everyone can thank their veterans or remember the ones that are now gone. In that spirit, I thought a recipe from the past might be interesting and for those who are lucky to still have WWII vets in their lives, perhaps a bit nostalgic. I found this recipe at recipecurio, which is a new site to me but one I’ll be checking out frequently – she has done a great job preserving older recipes. This particular recipe was written in the time of rationing so you’ll notice the absence of butter or shortening. Not such a bad idea from a cholesterol standpoint anyway. I think the “milk” should be whole milk though. The cake recipe is called “spring beauty” but lemon flavor in November sounds fine by me. Sift flour once, measure, add baking powder and salt, and sift together three times. Beat eggs with rotary egg beater until thick enough to stand up in soft peaks (5 to 7 minutes); add sugar gradually, beating constantly. Add lemon juice. Fold in flour, a small amount at a time. Add hot milk and stir quickly until thoroughly blended. Turn at once into ungreased tube pan and bake in moderate oven (350° F.) 35 minutes, or until done. Remove from oven and invert pan, 1 hour, or until cold. Remove from pan. I have always liked driving into Oregon. Sure, there is some gorgeous scenery, quaint towns and lovely coastline, but mainly because it means that I don’t have to pump my own gas. Yep, you can’t pump your gas in Oregon, and I find that very civilized. The state also lacks a sales tax, which certainly is appreciated by those folks who live along the southern Washington border and who don’t mind committing a little fraud to buy big ticket items. Not that anyone from Washington would do such a thing. The Beaver state has more than gas and sales tax going for it, though. It is the place for hazelnuts, peppermint and black raspberries – though I don’t think I’ll try them all at once, thank you. Lewis and Clark, the original road trip duo, explored there and who can forget the adventures of The Goonies along the coast near Astoria (goodbye, One Eyed Willie, goodbye). Matt Groening (Simpsons, Futurama), Ursula K LeGuin (fantasy author), Tanya Harding and Courtney Love have all called Oregon home – certainly all creative types in their own special way. The state motto though has me puzzled: “She flies with her own wings”. Ummmm…I don’t get it. Maybe some savvy Oregonian can clue me in. And speaking of unusual, the state’s official seashell is the Oregon hairy triton. Wow, that’s something you don’t hear about everyday. So I guess this was a long way of saying that Oregon is a bit quirky – but in a good, wearing birks with socks, loving hiking and trail mix, we have 231 state parks, kind of way. And what better way to celebrate that off-beat spirit than a vintage sour cream & raisin pie recipe from Scappoose, Oregon. Nothing says off-beat like raisin pie to me. I bet you know what April 15th is, right? You have the date marked on your calendar, no doubt. All eyes will turn to Dallas when the winner of the one million dollar prize for the Pillsbury Bake-Off will be announced. Oh, you thought I meant tax day, huh. Well, no matter, now you have something good to watch for on that day. The Bake-Off has been going strong since 1949. It started as a one time affair to celebrate the 80th anniversary of Pillsbury and it was held at the Waldorf-Astoria hotel in New York, but its popularity ensured that it became a yearly event. The winning recipe of that first contest was No-Knead Water-Rising Twists, created by Theodora Smafield of Rockford, Illinois. Ms. Smafield won fifty thousand clams, no small prize then or now. 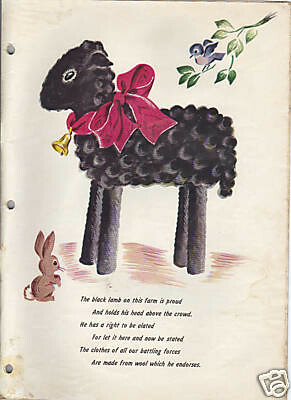 Into the 1950s, the entries were mostly desserts, often cake, and focused on fancy “company’s coming” type sweets. French Silk Chocolate Pie was the winning recipe in 1951 and is typical of the era. The 1960s and 1970s saw a shift in focus. Women were entering the workforce and time was suddenly important. Time-saving recipes and shortcuts were the focus. International flavors began to come into the entries, as well as entrees. Poppin Fresh Barbecups from 1968 (the winner was Peter Russell) and Zesty Italian Crescent Casserole from 1978 were two favorites. The 1980s and 90s brought in fusion cuisine and an emphasis on healthy food. More men were entering the contest and the winner of the first million dollar prize, in 1996, was a man. Brocoli-Cauliflower Tetrazzini from 1988 and Seven-Layer Chinese Chicken Salad from 1998 are good examples. Which brings us to the 2000s. Panini, pie and pasta have all been winners. And in just a few short days, all eyes will indeed turn to Dallas for the big winner and his or her 15 seconds of culinary fame. I raise a tube of crescent rolls and salute you, winner of the 2008 Pillsbury Bake-Off. Ok, that’s a trademark phrase, so Kellogg’s lawyers: don’t sue me. I’m making a batch of Rice Krispie Treats today. Puffed rice, marshmallow and butter somehow transforms when it is all together into a really delicious treat. 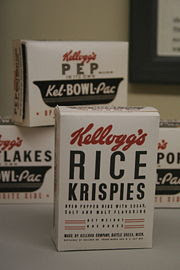 As with all wonderful things, Rice Krispies had their start in the 1920s – 1928 to be precise. But the treats didn’t come on the scene until the early 1940s. I have a hard time imagining the French eating Rice Krispies, but maybe they like a batch of ooey-gooey treats just as well as the next kid. The recipe for these little yummies is right on the box, so I won’t even post it here. I’m fixing up a double batch, turning on Dean Martin Christmas songs and pulling my fake tree out of its box. Childhood is calling. I love quilts but I don’t quilt. Well, not yet anyway. But recently, I’ve discovered the joy of yo-yos, those wonderful little puffs of scrap fabric that can be stitched together to make coverlets, tablerunners, you name it. The history of yo-yos seems to have started in the late nineteenth century, but the popularity of the coverlets didn’t really take off until the 1920s and 30s. 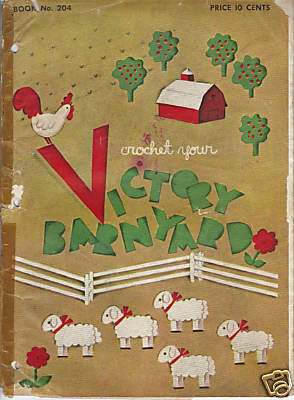 The fact that yo-yos take scraps of fabric makes sense as a way to quilt during the Depression. See the lovely example of a vintage quilt at A Piece of My Soul. I’m currently working on a pillow case, with aspirations of a coverlet at some point. Yo-yos are easy to make, even for those sewing challenged crafters like me. I watched a favorite movie (The Usual Suspects) and cranked out a bunch over the weekend. Check out the instructions for making yo yos here.